Why American Preachers will not unify against the anti-God White House. You deserve to know why. There are 500,000 ministers in America. If they would unify and stand for Bible values, it would end the insanity of the White House overnight. Why won’t they unify? Make no mistake. I am not anti-church and I am especially not anti-pastor. I am loyal to my fellow preachers. I am committed to the local church. But I am also against the lie that says ministers should mind their own business while America is ringing down the drain. This post has one passion. It is to provoke someone far more influential than I. Whoever that person is needs to stand now and use every last drop of their influence. They must unify the ministers of America into one mighty voice. It is time for a non-violent revolution; a firewall against the onslaught of evi, It is the only way this nation will be spared. Half a million ministers should be able to do something! Sadly, Satan has done a number on a great many of them. In fact, this is by far the most widespread dereliction of duty by any generation of American preachers. The enemy has neutralized pastors. He has paralyzed some of them with fear. He has deceived a host of them with false doctrine and false guidance. He has seduced many of them with compromise. I praise the faithful preacher, but I herewith indict the compromised preacher. As I said, you who are in the pews deserve to know why your minister refuses to speak out. Here are the reasons listed in order of importance. Fear of losing non-profit status. In the 1950’s, Lyndon Johnson caused the church to make a deal with the devil. The deal is known as the 501C3 designation. Frustrated by pastors who were telling their people not to vote for him, Johnson introduced legislation that silenced the church. In exchange for IRS status, churches agreed not to endorse political candidates. The church did not need this designation because they were already tax exempt in the Constitution. This fear is utterly unfounded because no pastor’s free speech can be overruled by the IRS. It makes no sense to say you fear losing your status. Unless we begin speaking out, an America is coming where it is illegal for your church to meet. What good will your nonprofit statuses do you when you are an underground church? Lifestyle: 50% of all preachers who were polled said that if there was another way for them to make money they would leave the ministry. That means that for many preachers the ministry is just a paycheck. If speaking out against Obama will cost them tithers, if standing for marriage and the unborn will offend some, they will not risk anything that could threaten their lifestyle. Racism: This happened in the midst of Andrae Crouch’s funeral. Stevie Wonder said, “The only reason that people have rejected Obama’s policies of inclusion is because he is black.” In a spirit-filled church, during the memorial to a Gospel legend who did more than anyone before him to cross racial lines with Gospel music, Mr. Wonder had to inject race. When you value the race of a politician above Christianity, Bible values, and morality, it is racism. 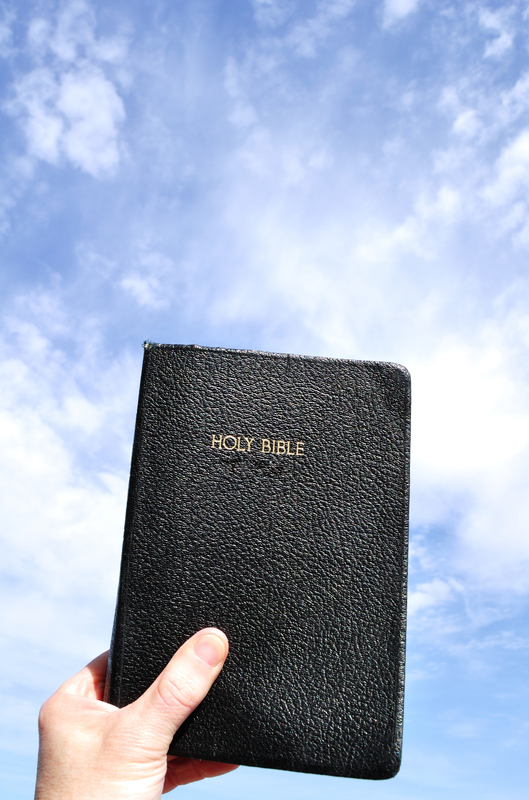 Ignorance of Scripture: Preachers today do not know the Bible. Many no longer believe it is the inspired Word of God. They have crafted their sermons from pagan writers, motivational speakers and secular music lyrics. They do not pray and search the scriptures. Instead they research pop culture. This is why they are ignorant of their calling to be watchmen over the flock of God. This ignorance of the Bible is why we hear them agreeing with atheists and secular humanists. Ignorance of America: They do not value America. They have forgotten the way God worked in our history. Linked to this ignorance of America is their ignorance of the threat to her existence. They do not understand what moral awakenings have meant to the United States. Since they are ignorant of this miracle called America, they are also ignorant of the urgency for revival. Apathy: Two extremes create apathy; one is self-sufficiency and the other is total discouragement. When ministers have too much or too little, they say, “What is the use in trying anymore?” One has given up because they don’t need the drama. The other has given up because they believe it is hopeless. Even though the causes are totally opposite, the result is the same: A nation dies because leaders cannot muster the necessary outrage to take appropriate action. Competition: Many preachers do not see their fellow ministers as brothers in arms. They see them as competition. They see them as predators of their people. Wanting the biggest church has blinded them to the fact that we are all in the same army; that we are on the same side. Some preachers actually relish the idea that their competitor is losing members and suffering loss. So here is the bottom line. Our refusal to repent of these things, our rebellion against our duty to stand as one voice against the evil of our government, will cost us the nation. I am not the man to unify the leaders. I know that someone will read this who is the person to make it happen. As I said at the very beginning, we could wipe out the insanity of the White House in no time if we would stand together. If we do not, we will go down in history as the worst generation of preachers in American History. “But at night an angel of the Lord opened the prison doors and brought them out, and said, ‘Go, stand in the temple and speak to the people all the words of this life.’”- Acts 5:19, 20. 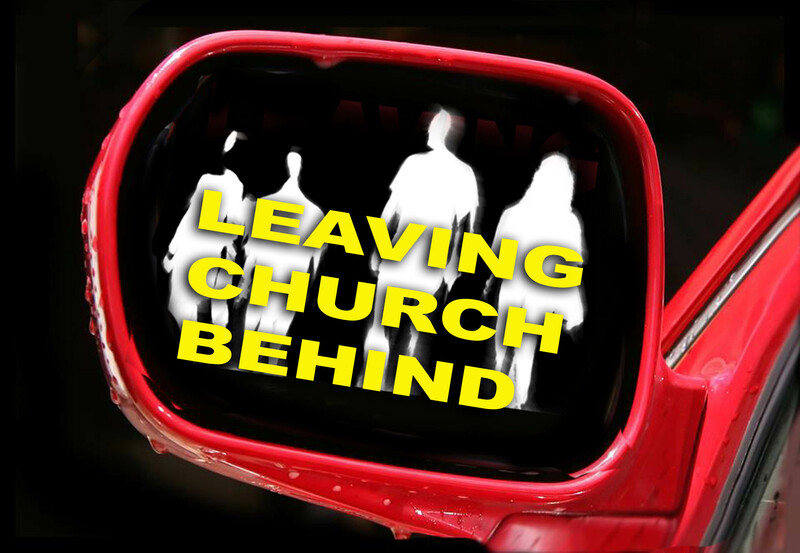 It is a crisis that youth have left the church. The greater crisis is our blind allegiance to a model that we believe will win them, but that is actually boring them to death. Read these words from a young writer named Matt Walsh as he describes the all too common modern church service. I walked in and immediately realized that I’d inadvertently stumbled upon a totally relaxed, convenient, comfortable brand of church. The first hint was the choir members dressed in shorts and flip flops. Sweet, bro. So chill. There were a bunch of acoustic guitars and drums and tambourines and a keyboard. Before the service/concert began, some guy came out to rev up the crowd. The sermon was jam packed with youth slang and pop culture. He mentioned a couple of TV shows and Netflix. He made sports metaphors. He didn’t do anything with the references; he just hung them out there like we were supposed to be impressed that he knows about these things. About halfway in, I turned around to get a look at my fellow congregants. Do you know what I witnessed? Hundreds of captivated churchgoers. Just kidding. Actually, a lot of empty seats. A disinterested yawn echoed through the hall. I could see the guy next to me fighting to keep his eyes open. The light of the Faith grows dimmer in this culture because of that church service I attended. Not specifically that one, but that kind of service. And not just that kind of service, but that kind of Christianity, generally. The lame and bored kind. The flavorless, tame brand. Christianity is fading because more and more of our leaders want to steal people from the true faith and deliver them to this convenient version. When you reduce it to mere distraction and spectacle, it loses its substance, and without its substance it is, among other things, boring. As atheism and agnosticism surge in popularity, Christianity hemorrhages and fades. Some have tried to argue that the situation isn’t really as bad as all that, but I disagree. I think it’s worse. Yet many of our fearless leaders, pastors, and pundits think this is, rather than the disease, the remedy. It’s the same remedy they’ve tried for half a century. As the problem gets worse, they don’t change the medication, they just keep upping the dosage. The Faith of Jesus has over two thousand years of treasure. Church leaders have turned that treasure into trash. The solution is painful but clear. Pastors must utterly abandon the cult of convenience and restore the treasure. Quit defending and giving life to things that do not matter. The church board does not matter. God wants to talk to you, not them. The intimidating ideas of Rick Warren and Joel Osteen do not matter. Their ideas were interesting until our nation slammed into an iceberg named Obama. Your building does not matter. No natural thinking minister would have chosen the upper room or the Azusa street mission. Even the idea that you would lose your church does not matter. None of these things matter. To believe that they do is to believe that America is not in trouble and the church is not failing. Both of those lies will only contribute to the death of our nation. When you finally admit what is going on now, you will quit trying to sell God on your good ideas; you will divest yourself of all the growth opinions and strategies that are cancerous to the cause of Christ. Do not fear offending anyone except the Holy Spirit. Your worst enemy is that part of you that still needs man’s approval. The lust for respectability deafens the voice of God, weakens your courage to obey God, and delays revival like nothing else I know. Every voice, every idea, every obligation and every person you know is fair game to offend. The only one we must not offend is the Holy Spirit. God requires us to repent of all of the idols that have replaced the Holy Spirit in our church operation. The Holy Spirit must be restored to His rightful place in church life. Then and only then can we reverse the destruction we see before our eyes. Milllenials have not rejected Christ, they have rejected Church. This is a strangely comforting thought. Here are the big questions: are we willing to admit that they were right to reject counterfeit Christianity? Are we more interested in winning them or holding onto a program that is killing them boredom? those and the other shaped pieces were the most important things in the puzzle. To see them, and to identify something that was in her world, made it all very interesting. To her older brothers, however, the shape of individual pieces was merely incidental. than he knows that he is alive. them, because they arespiritually discerned” (I Corinthians 2:14). of the world’s leaders of the world’s thinking] he hath” (Matthew 13:12). one of the first principles of Bible study is that no Scripture is of “private interpretation” (II Peter 1:20). 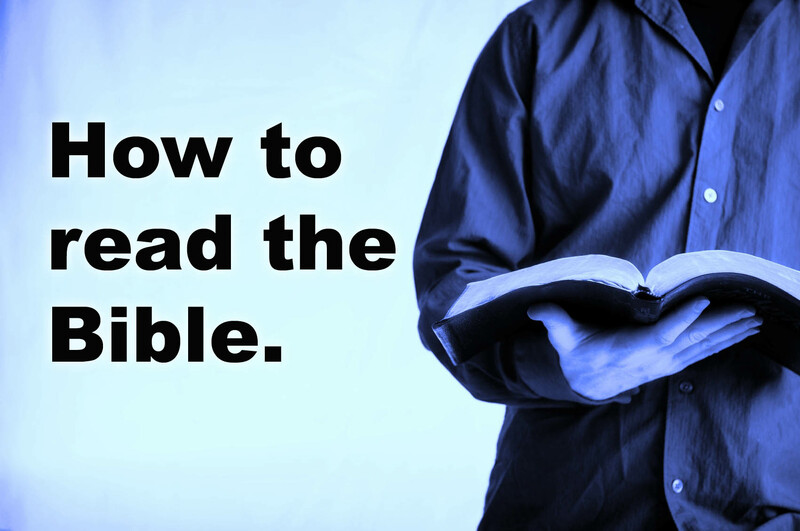 right of the private individual to read and understand the Bible for himself. 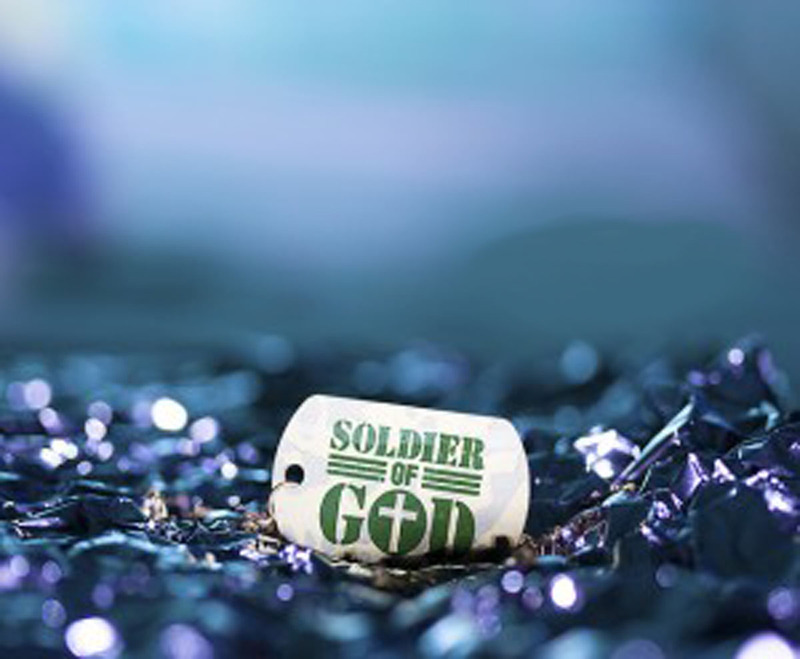 God’s first choice, but because of the hardness of the hearts of men (Matthew 19:8). Editior’s note: Donald Grey Barnhouse Th.D (March 28, 1895 – November 5, 1960), was an American Christian preacher, pastor, theologian, radio pioneer, and writer. He was pastor of the Tenth Presbyterian Church in Philadelphia, Pennsylvania from 1927 to his death in 1960. As a pioneer in radio broadcasting, his program, The Bible Study Hour, continues today and is now known as Dr. Barnhouse & the Bible. his writings, can testify that this is true. Here is urgent news! I want you to join me for 4 unforgettable nights of healing miracles. Let me explain more. My experience with the power of Christ to heal began in the most unlikely place and at the most unpromising time. This was not a backwater encounter among the uneducated. It was in the light of day on the campus of the University of California at Berkeley during the free speech movement. Jesus himself said, “Most assuredly, I say to you, he who believes in Me, the works that I do he will do also; and greater works than these he will do, because I go to My Father”-John 14:12. Those words haunted me and challenged me to answer one of the greatest questions I would ever ask myself: How do I reach this campus? What happened to me next did not just breakthrough on campus, but it ended up taking me around the world declaring the greatest news that mankind has ever heard. There is not enough room here to give you a detailed account of how the healings began. What matters right now is that you can receive healing and you can satisfy your soul about the reality of God. I am not asking you to embrace dead religion or a cult. 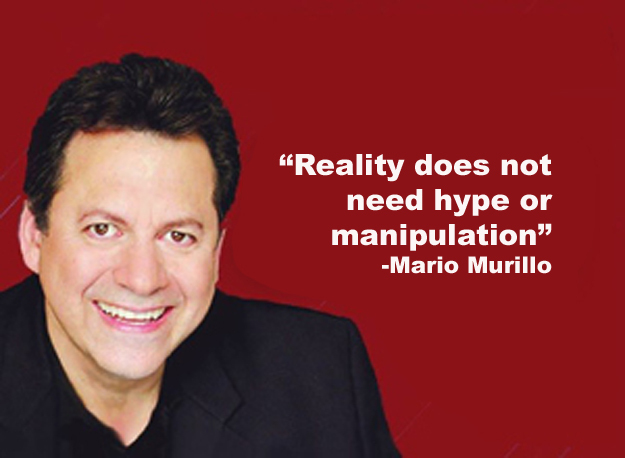 Reality does not need hype or manipulation. I am asking you to trade just one night of your life to open your heart to God and let Him give you a miracle inside and out. Not only will Living Proof amaze and liberate you but it will be the best thing possible for someone you care about who battling not just sickness but life itself. Bring someone to this night! Why not? If someone you love is suffering for any reason, bring them and let us pray for them to receive a miracle. Think of all that they have endured to try to get well. Instead of waiting for hours in a cold atmosphere let them experience a loving, joyous, faith-filled atmosphere. If someone you know is unchurched and is honestly seeking to know that God is real, bring them. My message each night will not just touch the needs of the body but also of the soul. This is a perfect opportunity for them to receive a miracle in their soul. You should come if you are a Christian who yearns for revival in Northern California. The impact of these nights will not end with just healing miracles. An army of love and light is forming from many churches in this region who are seeking an outpouring of the Holy Spirit. It is our deepest wish and expectation that the power of this night will flow out to the entire North Valley area. IT ALL ADDS UP TO A SIMPLE FACT: THESE ARE NIGHTS YOU DO NOT WANT TO MISS AND YOU WILL BE THANKFUL FOR THE REST OF YOUR LIFE THAT YOU MADE THE EFFORT TO EXPERIENCE. Who are you going to believe? Will you believe Dietrich Bonhoeffer or Joseph Prince? I am going to take the word of the man whose reality in God empowered him to stand up to Adolf Hitler. I do not mean to scare you but history is repeating itself in eerie and vivid detail. Once again a nation hates Jews…specifically it hates Israel. Once again a government leader is taking power and expanding his control over the life of its citizens. (Its latest takeover is the internet). Once again, and this is a gigantic once again… the church is silent and coincidently, its most popular doctrine is grace. Not everyone buys into Prince’s hyper-grace but there are 50 shades of grace that permeate millions of Christians. These shades of grace have dulled our natural sense of duty and our capacity to feel outrage in precisely the same way that the German Church was lulled to sleep. Let me put it another way: You know how you feel when Al Sharpton hustles the notion that we are “institutionally racist?” You sit there listening to him and you know that no racist nation could have elected and reelected an African American president. Sharpton has to keep narrative alive, it’s his cash cow. I feel the same way when I hear our pulpits continually railing against “conditional love” and “performance Christianity” as if our churches overflowed with people repenting too much or overdoing holiness. I believe that the cheap grace narrative is kept alive on life support for the money. The American Church is not an overheating engine of dedication and sacrifice. All too often, it is a listless, flabby, biblically illiterate, club of moody consumers that hold pastors hostage to entitlement sermons. This is why when the Obama Anti-Christ fire drill arrived we failed miserably. We are still failing. 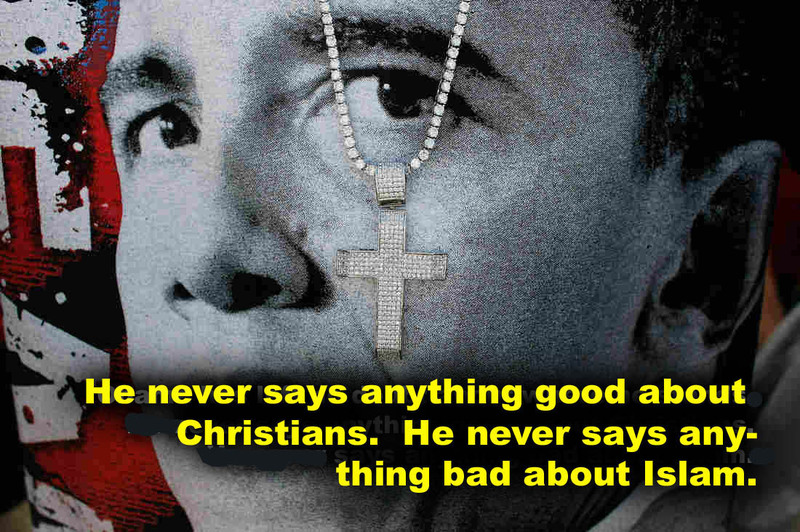 I have no doubt that Obama himself shakes his head at what the church has allowed him to do. The fact is that I love Grace, the real Grace of God: The Grace that buckles my knees with gratitude and makes me hate sin more than nuclear waste. I yearn not for a shade of grace but the blazing sun of it! How right was the author of Amazing Grace? “Twas grace that taught my heart to fear.” First Grace stuns us with what God did for us and yes we should feel a towering awe and fear of the mighty love of God. Then the song writer says, “And grace my fear relieved.” Relief comes from repentance, not from avoiding it! Finally, the writer says, “how precious did that Grace appear, the hour I first believed.” When you experience true Grace it becomes priceless to you. You will want to give your all to host it. You will flee wickedness with unbridled zeal. Is there hope in all of this mess? You better believe it! It is this Amazing Grace that is about to call people to explosive effectiveness against evil. There is a growing army of believers who are sick to death of the compromise and they are pressing into God. The Lord of Lords by the Holy Spirit has issued the order to arm and anoint a new generation of preachers and believers against this horde of devils that is choking the life out of America. Out of every quarter of America a signal is going out! “Come out from among them and be separate.” Jehovah is empowering yea, inflaming soldiers who will not break ranks and will see signs and wonders that even transcend what the Book of Acts Church experienced. Get ready for the preachers who know God and create lethal disciples! Men and women are emerging who will pay the price for true conversions, true miracles and true revival!